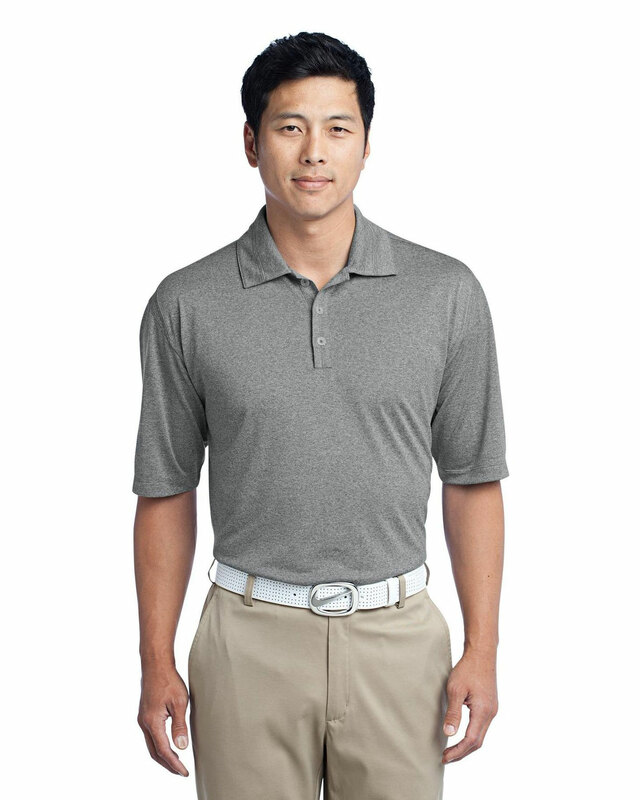 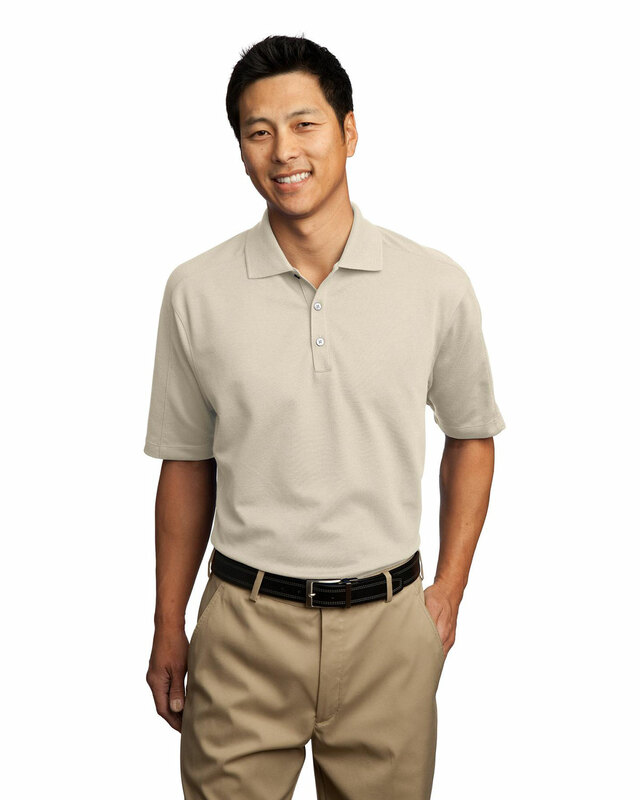 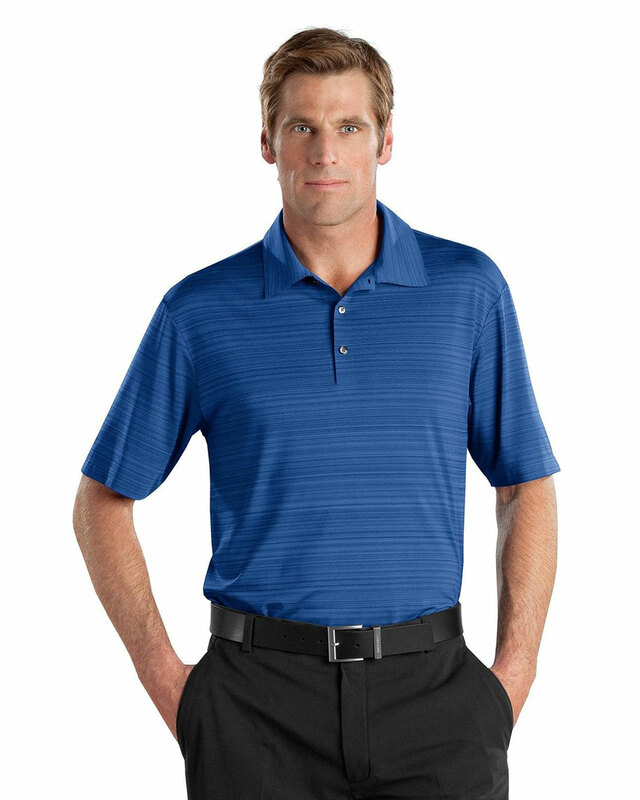 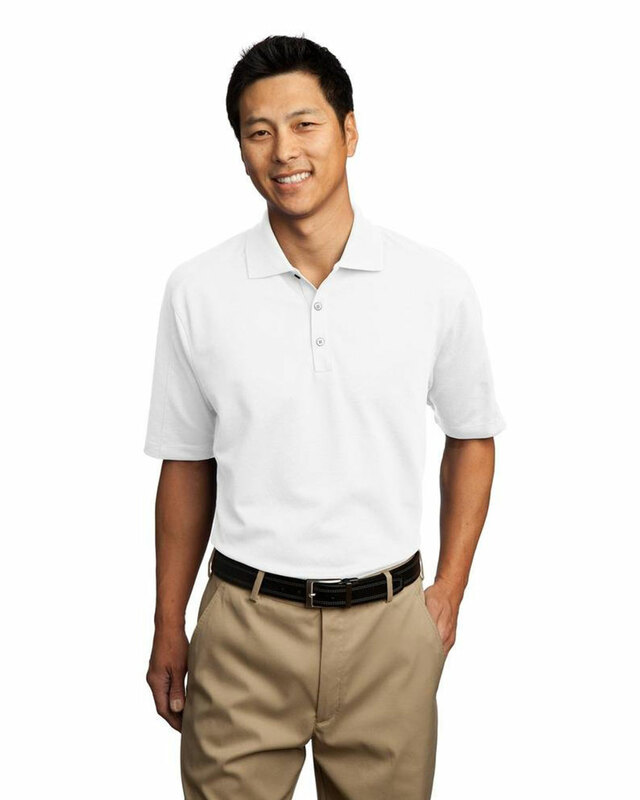 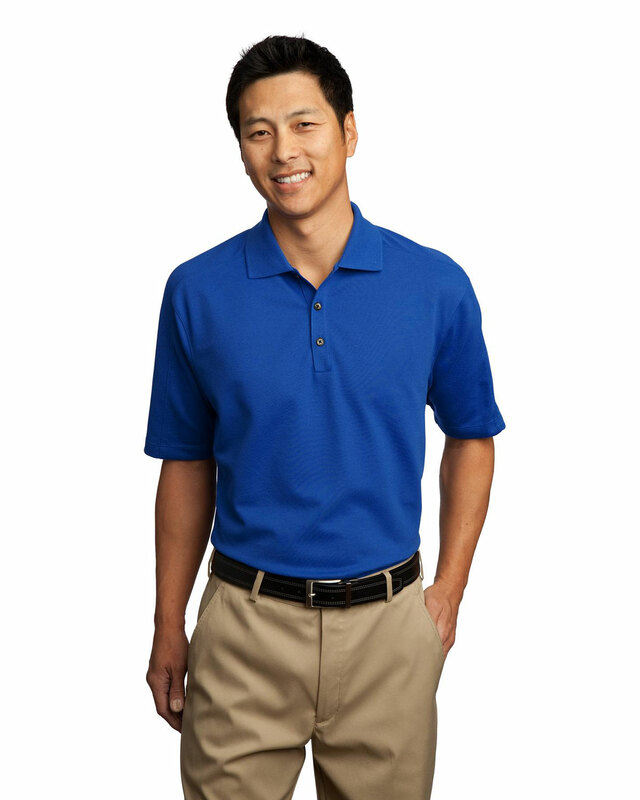 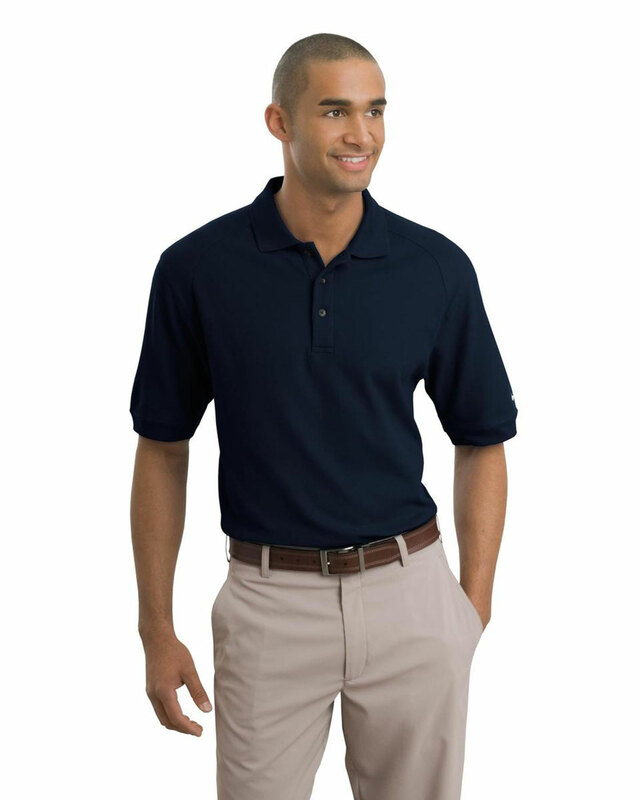 NIKE - Top of the line Corporate Apparel that your team will love! Co-brand your logo with the greatest name in sports and elevate your brand image. NIKE GOLF is the world’s #1 golf apparel brand. 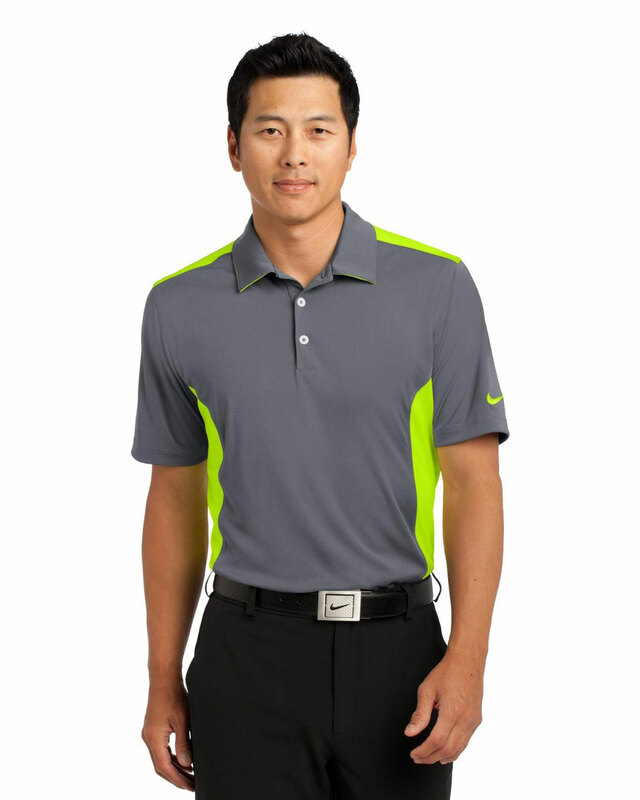 Nike's Dri-FIT technology is among the best in performance apparel, keeping you cool and comfortable in any setting. When you "co-brand" your logo with Nike apparel and items, you associate your company with high quality and performance. We’re here to help you find or create the perfect items to match your marketing and promotional needs. 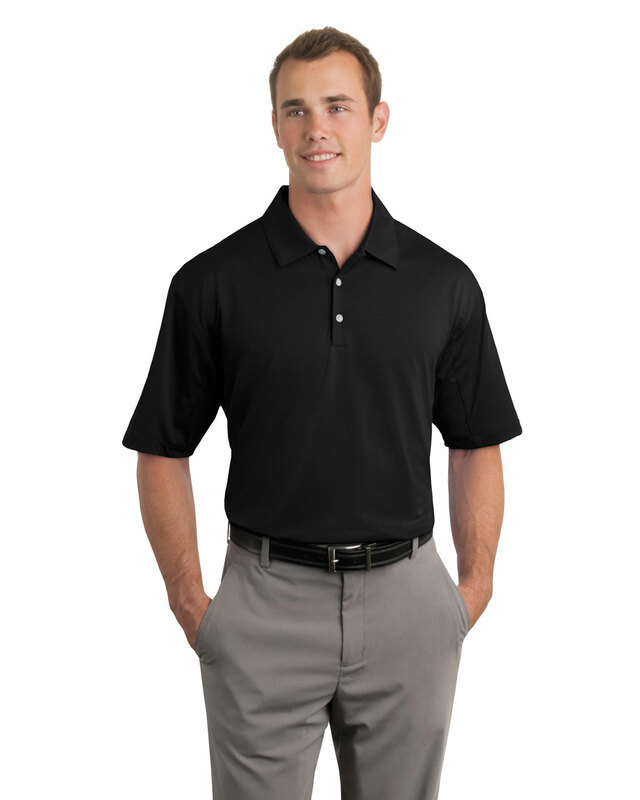 Contact your account manager or call us at 1-800-764-6110. 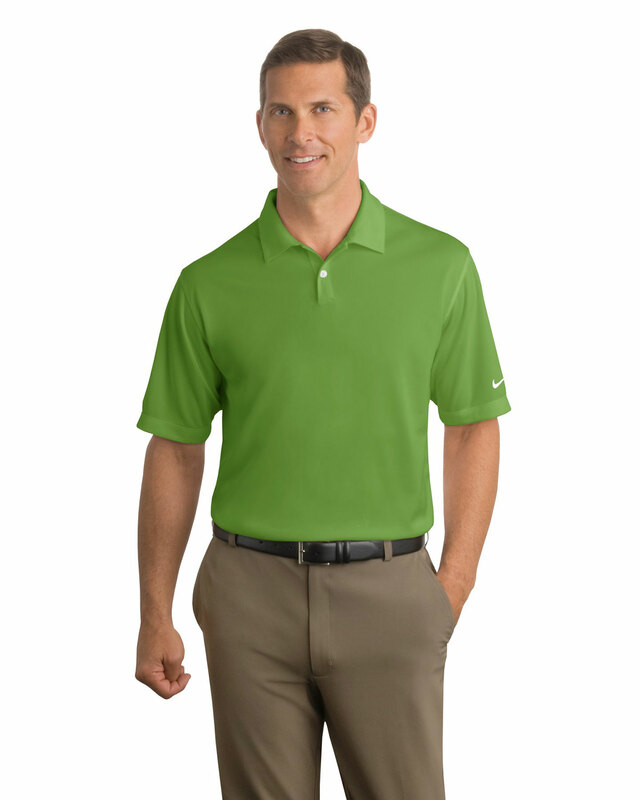 Made of 4.87-ounce, 90/10 polyester/spandex Dri-FIT fabric. 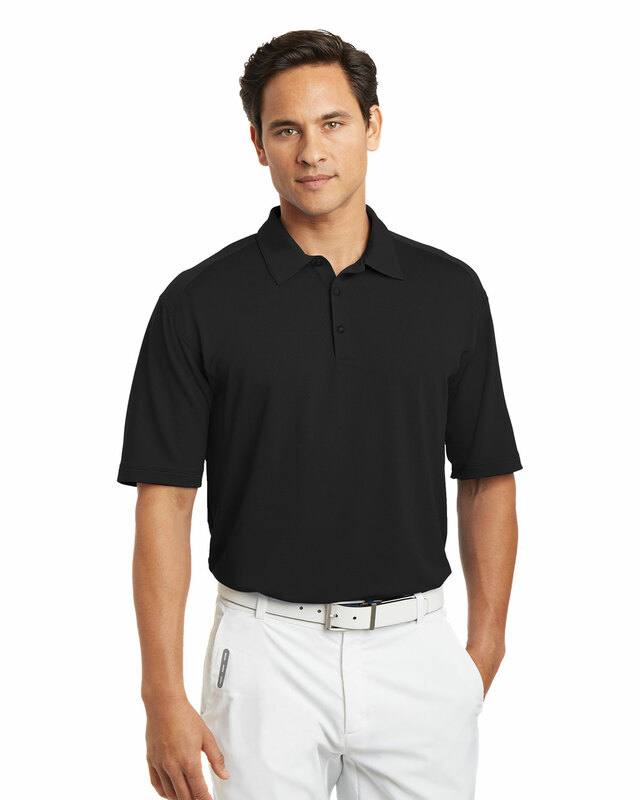 Engineered with a bonded collar and placket. Heat transfer label for tag-free comfort. 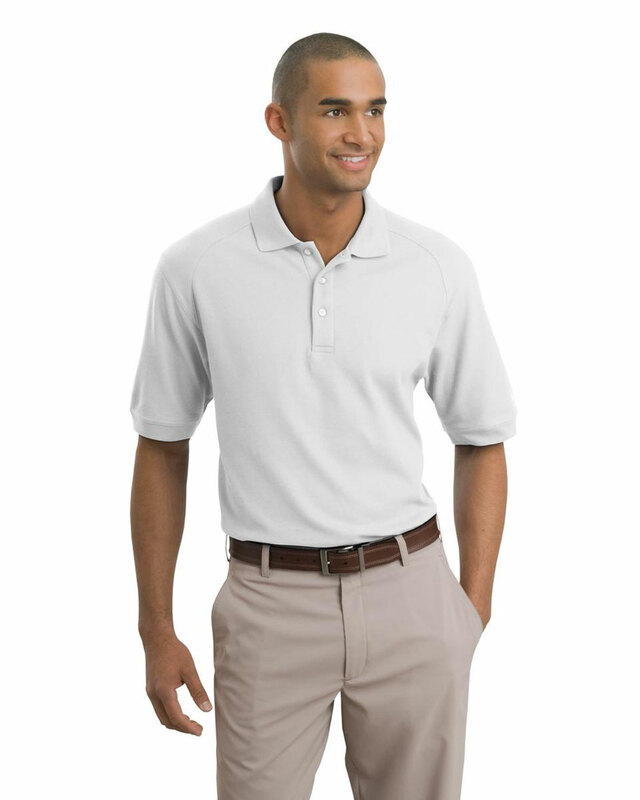 Die-cut buttonholes and pearlized buttons with metal rims. 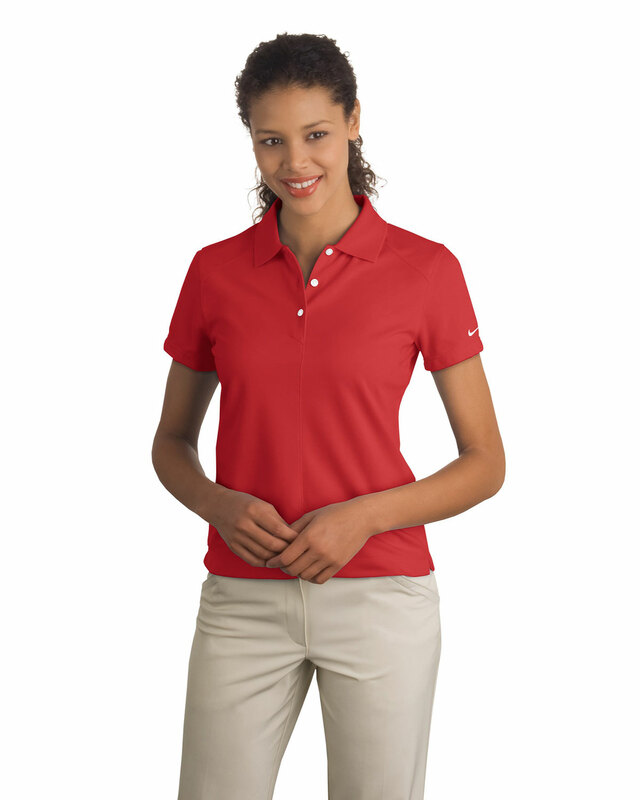 Open hem sleeves and Side vents. 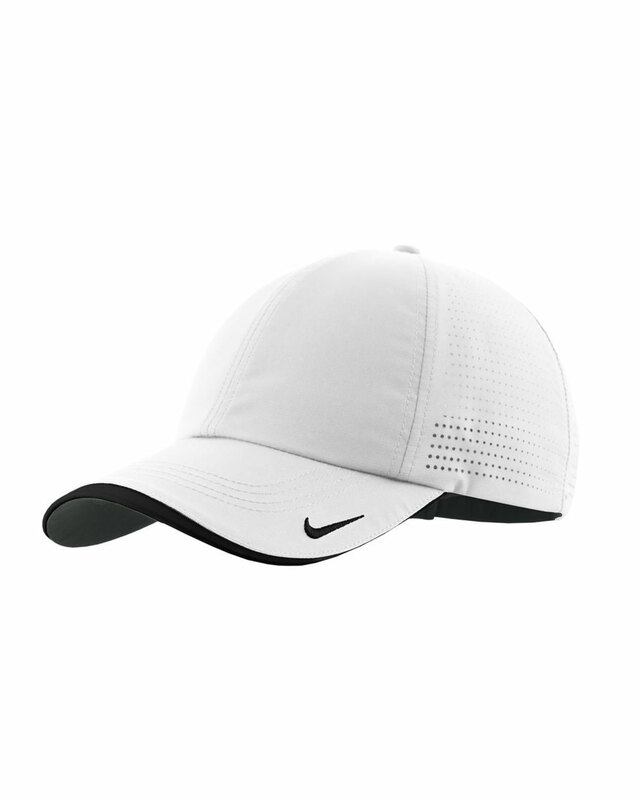 Contrast heat transfer Swoosh design trademark on center back neck. Made of 6.3-ounce, 100% polyester Dri-FIT fabric. 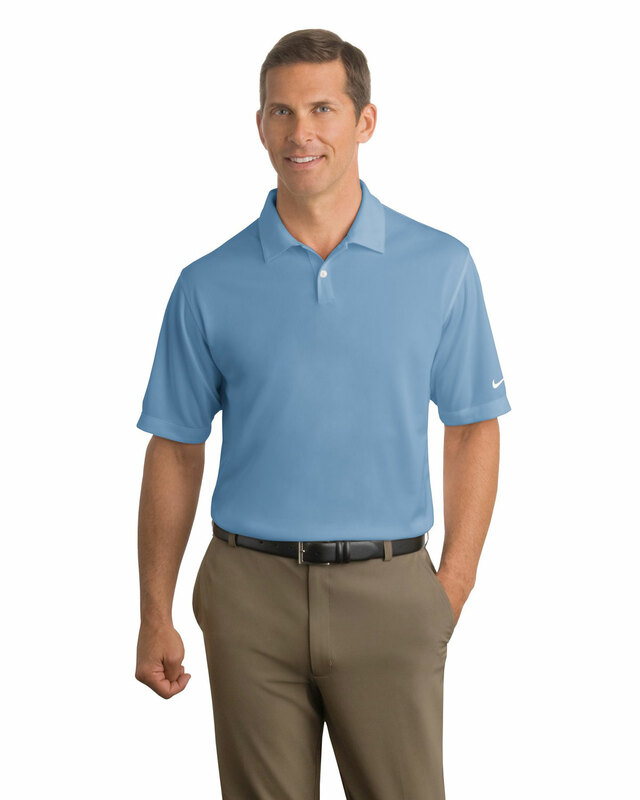 Dri-FIT moisture management technology keeps moisture at bay. 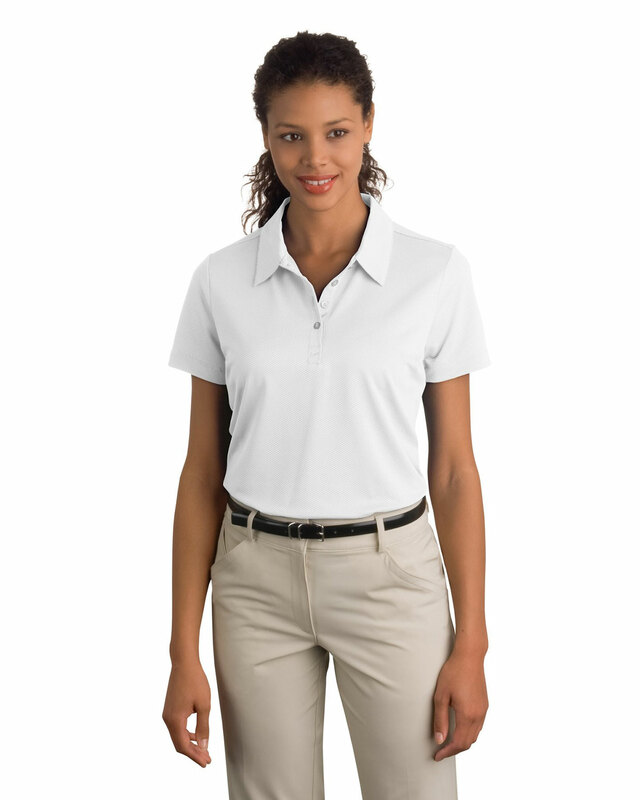 Design details include a self-fabric collar with contrast mesh under collar, three-button placket and open hem sleeves. Made of 5.6-ounce, 100% polyester Dri-FIT fabric. 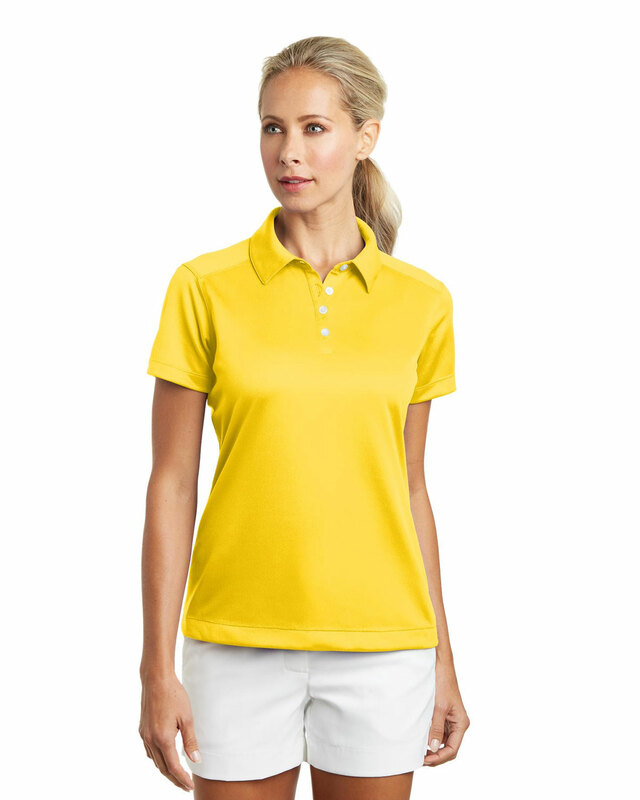 Design details include a flat knit collar and open hem sleeves. The contrast Swoosh design trademark is embroidered on the right chest. Features a three-button placket and side vents. Tailored for a feminine fit with a five-button placket. 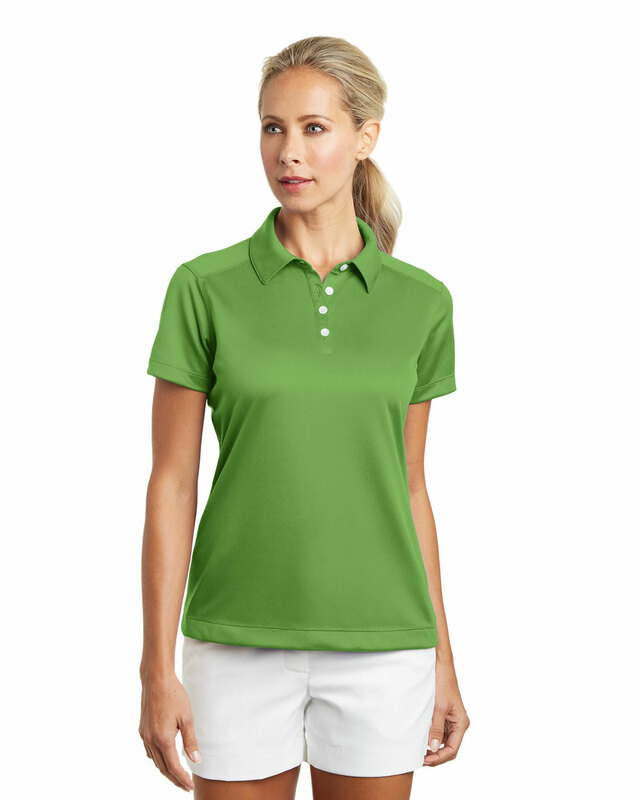 Made of 6.35-ounce, 89/11 polyester/spandex. Designed for maximum movement and increased airflow. Finished with a self-fabric collar and open hem sleeves. 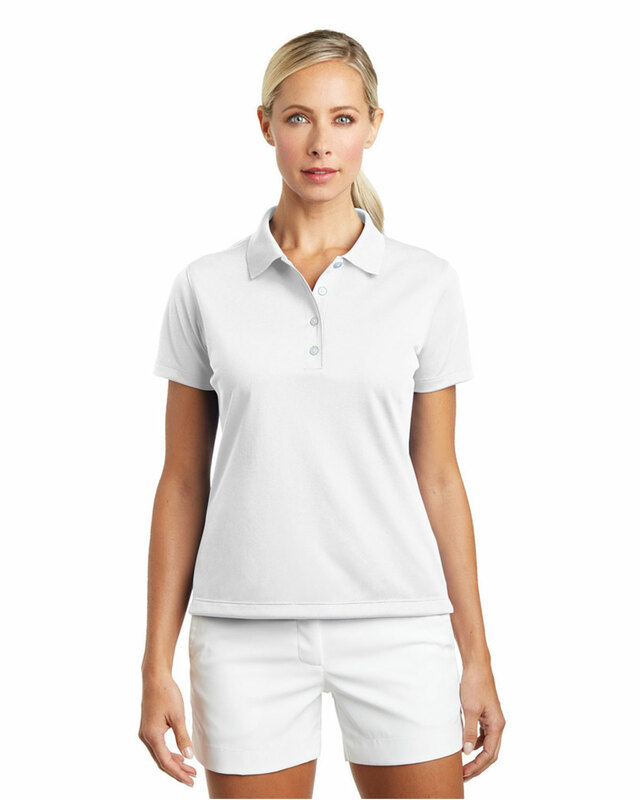 Pearlized buttons are selected to complement the shirt color. Tailored for a feminine fit with grosgrain ribbon inside the four-button placket. 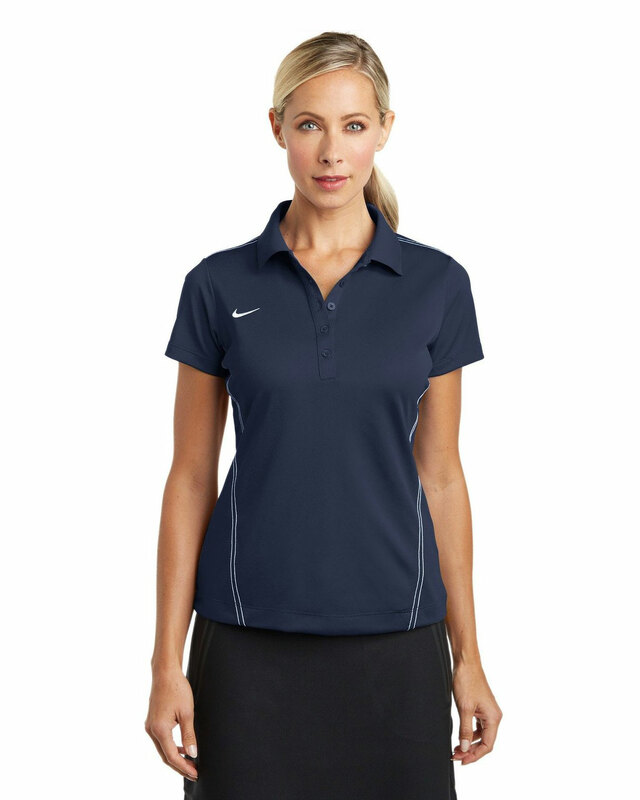 The Swoosh design trademark is embroidered on the placket. Made of 4-ounce, 100% polyester heathered jersey Dri-FIT fabric. Dri-FIT moisture management technology helps keep you dry and focused. Contrast stitch details on the shoulder seams and collar with three-button placket. 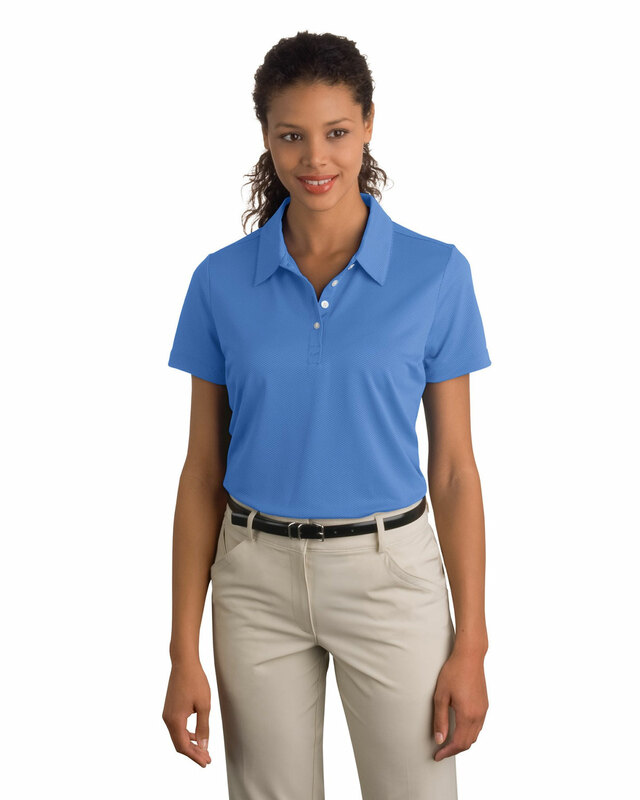 Other features include a self-fabric collar and open hem sleeves. 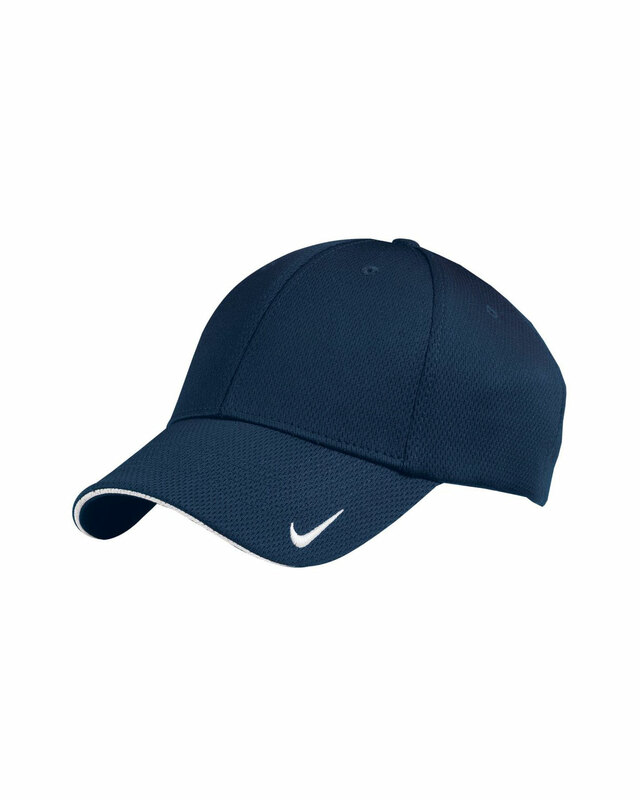 A contrast heat transfer Swoosh design trademark is on the left sleeve. 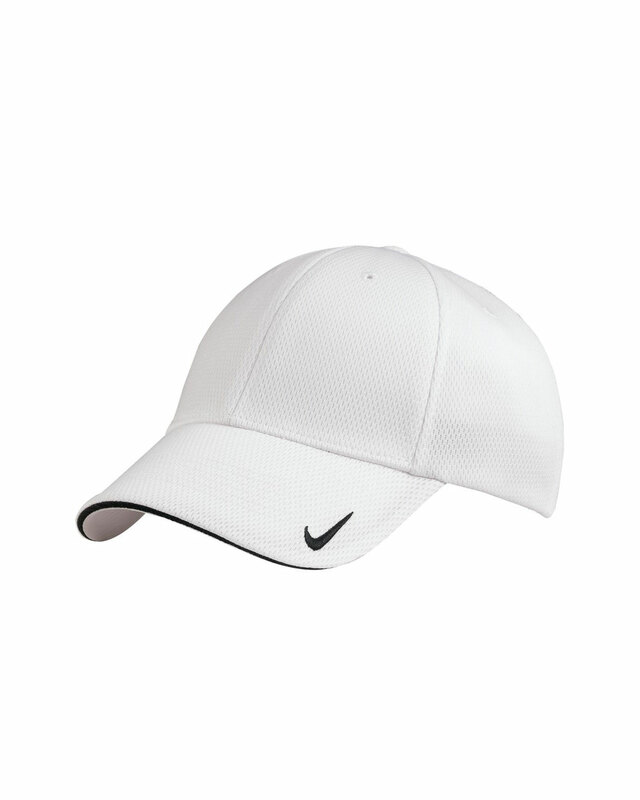 A contrast heat transfer Swoosh design trademark is on the left hem. Made of 4.1-ounce, 100% polyester. With double-needle stitching throughout, the design features a self-fabric collar, three-button placket, embossed Swoosh design trademark buttons, open hem sleeves and side vents. Made of 5.3-ounce, 100% polyester Dri-FIT fabric. Design features include a flat knit collar and open hem sleeves. 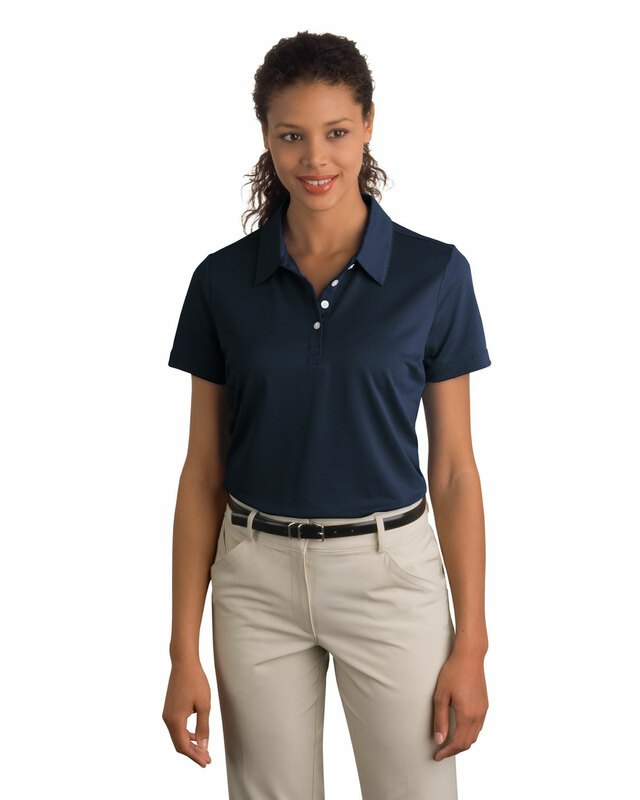 Tailored for a feminine fit with a four-button placket. Made of 3.9-ounce, 100% polyester. 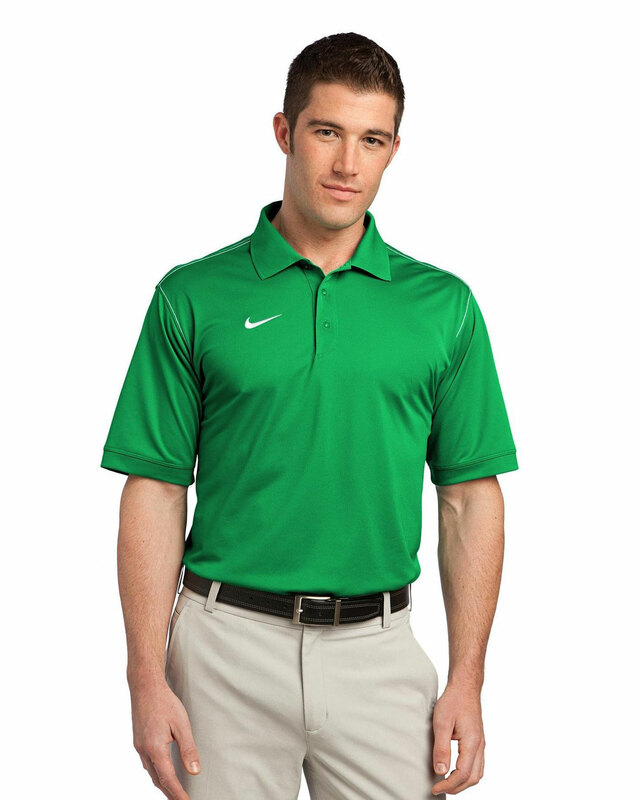 Dri-FIT fabric in these Nike Golf styles. Self-fabric collar and open hem sleeves. 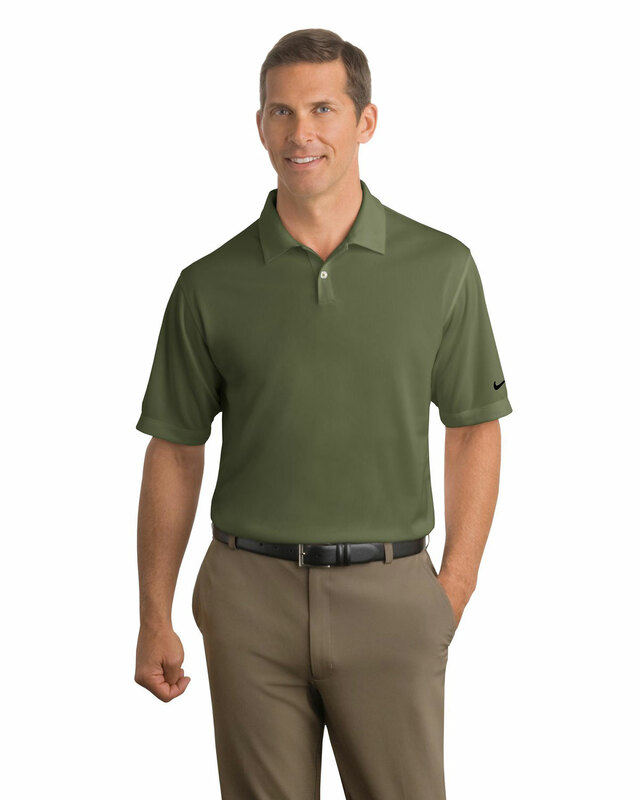 Made of 5.4-ounce, 56/44 cotton/polyester pique knit Dri-FIT fabric. The design includes a flat knit collar, three-button placket and open hem sleeves. 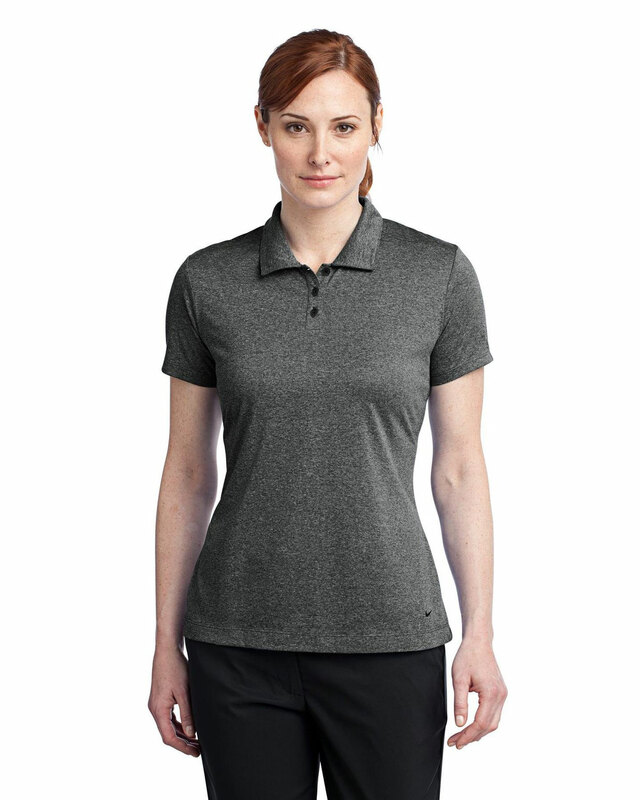 Tailored for a feminine fit with front seam details. Made of 6-ounce, 100% cotton. 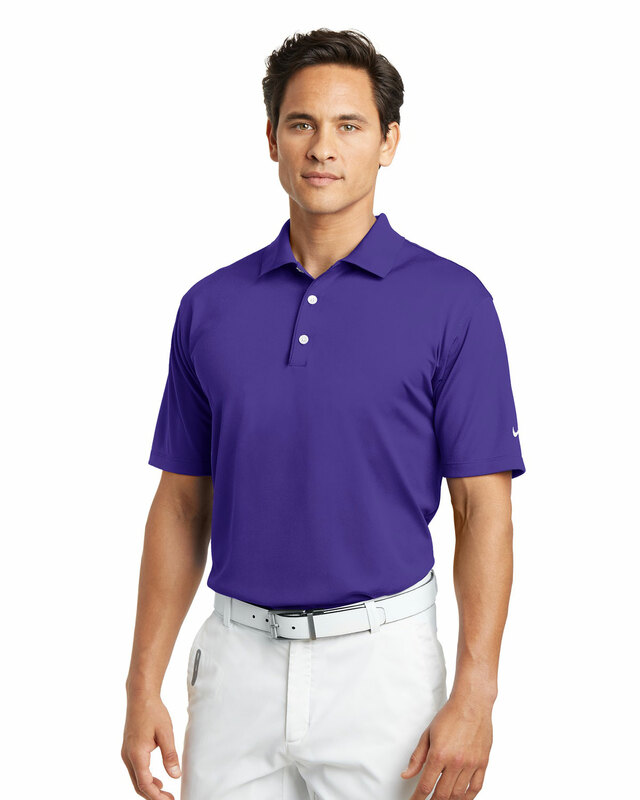 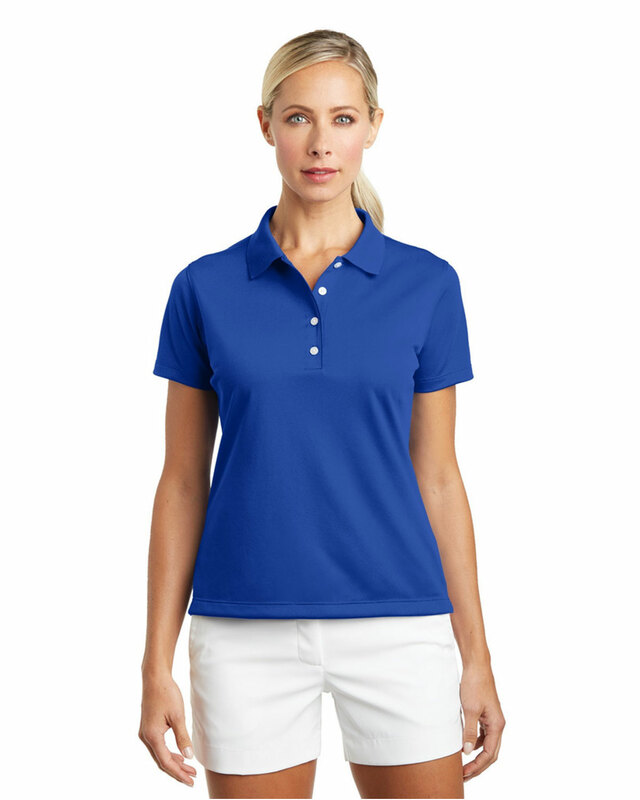 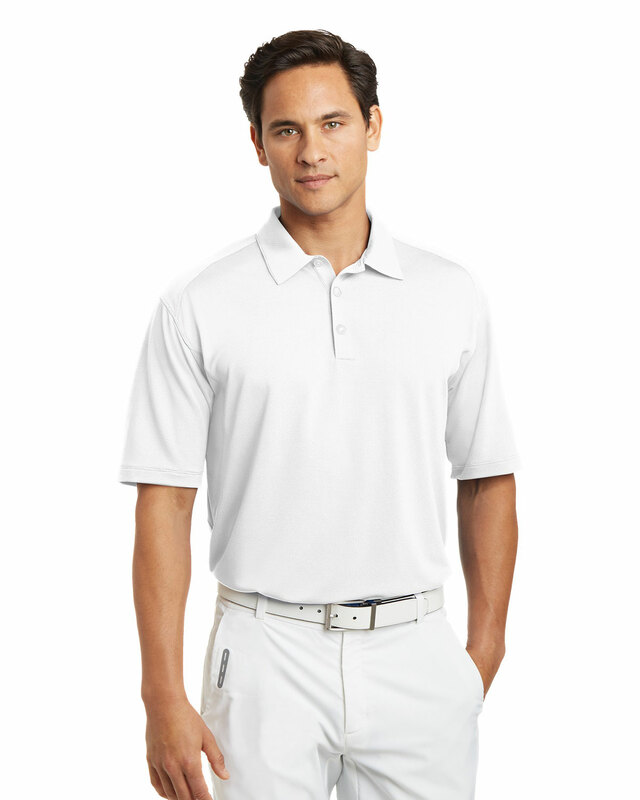 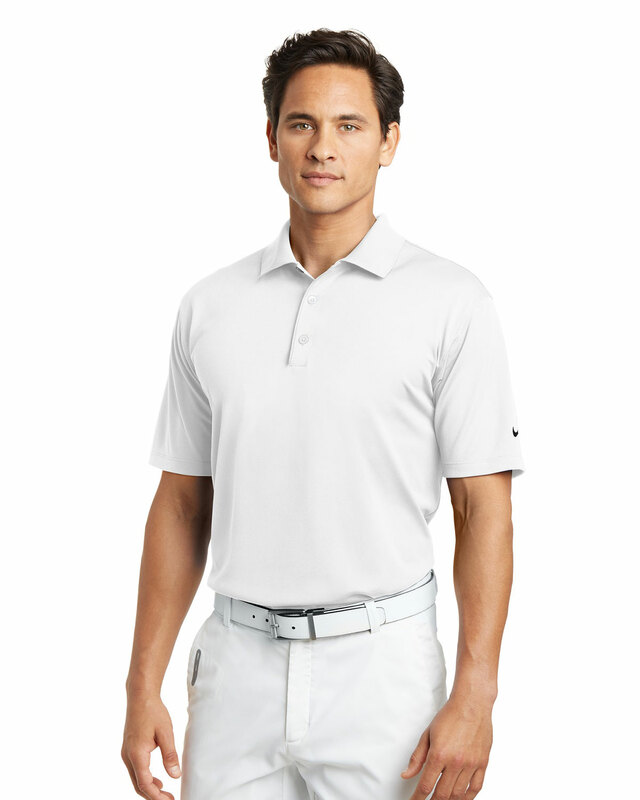 Design features include a flat knit collar and cuffs and Nike Golf embossed buttons. 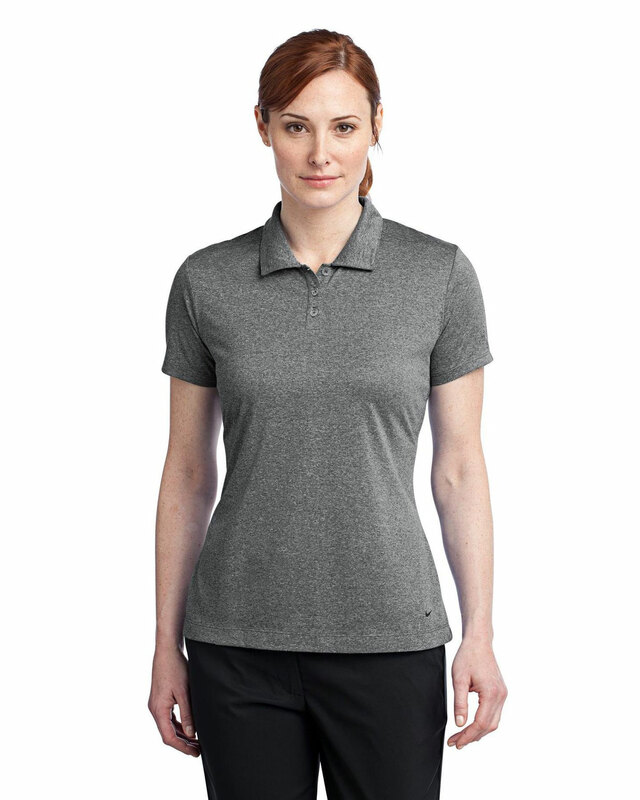 Features a sporty forward shoulder seam. Tailored for a feminine fit with a three-button Y-placket and front seam details. 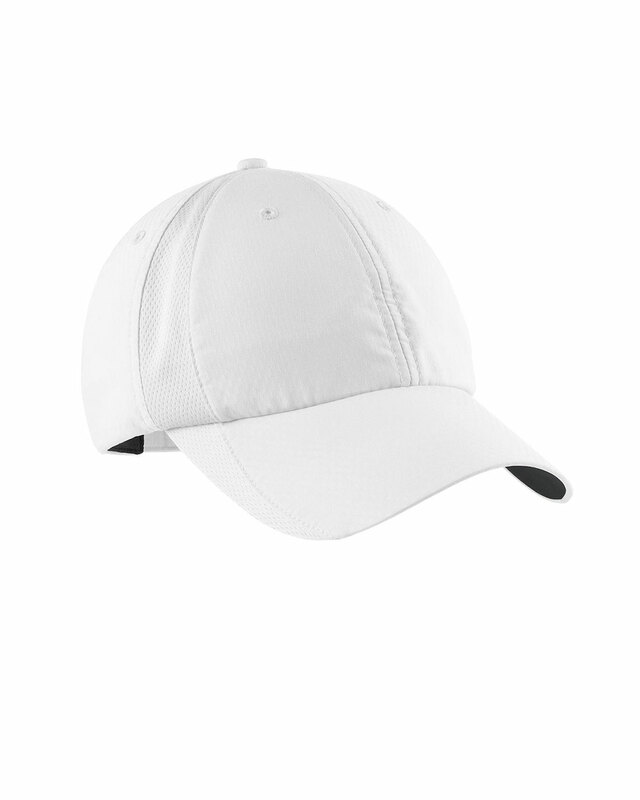 Made of 100% polyester knit mesh. 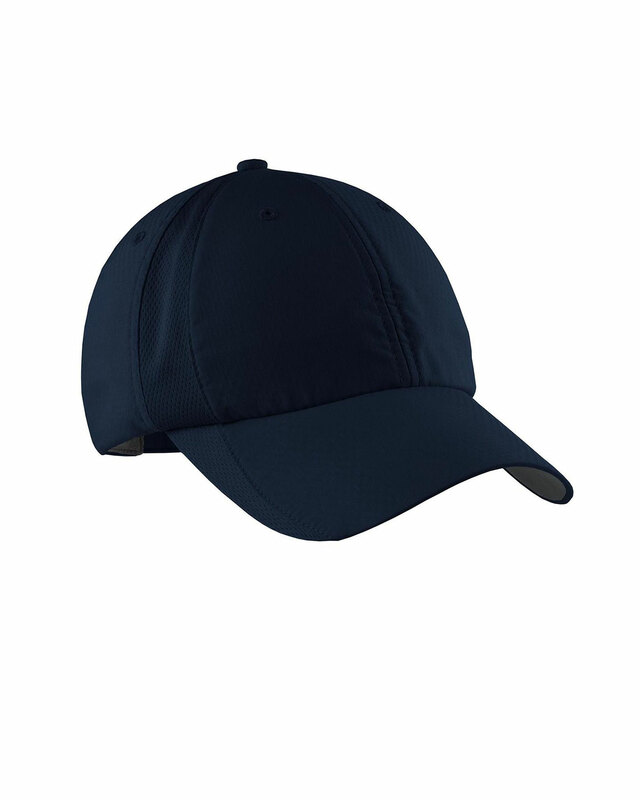 This cap has a contrast sandwich bill and a structured, mid-profile design. The Swoosh Flex sweatband ensures an exceptional fit. 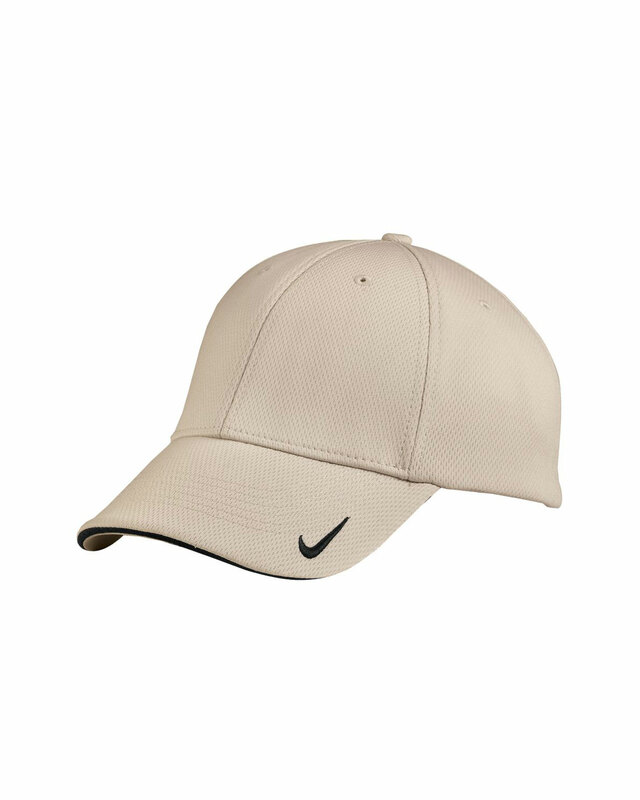 The contrast Swoosh design trademark is embroidered on the bill and center back in the same color as the trim. Made of 100% Dri-FIT polyester. Dri-FIT moisture management technology and perforated mid and back panels. A contrast underbill reduces sun glare. 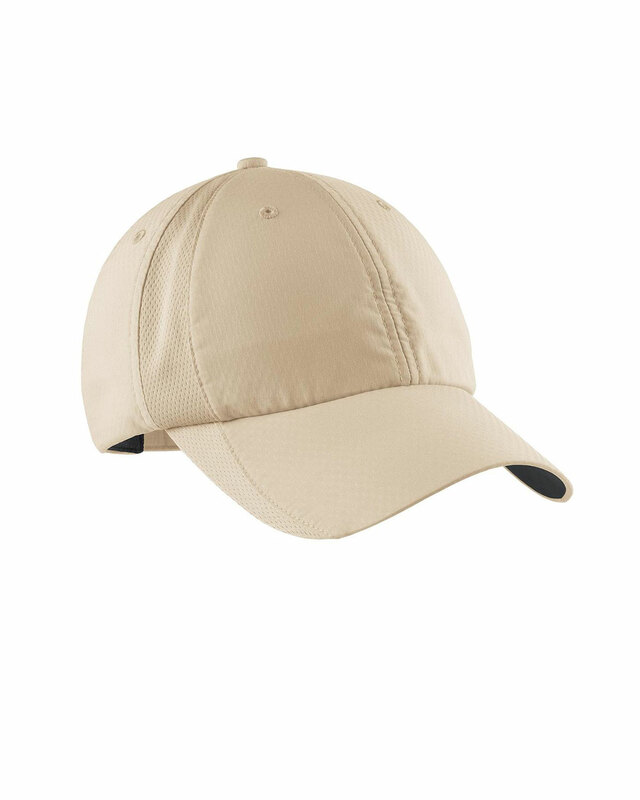 This cap has an unstructured, low profile design with a hook and loop closure. 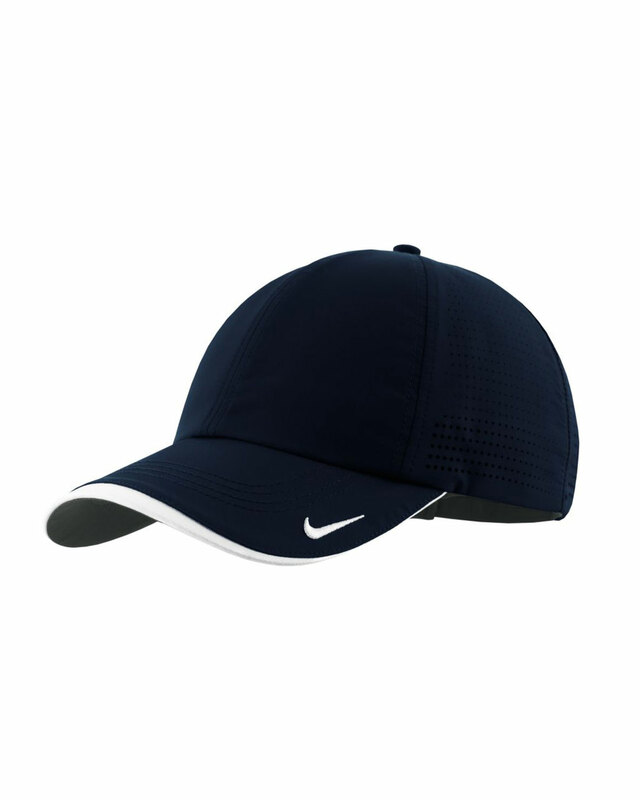 The contrast Swoosh design trademark is embroidered on the bill and center back. Made of 100% Dri-FIT polyester twill. 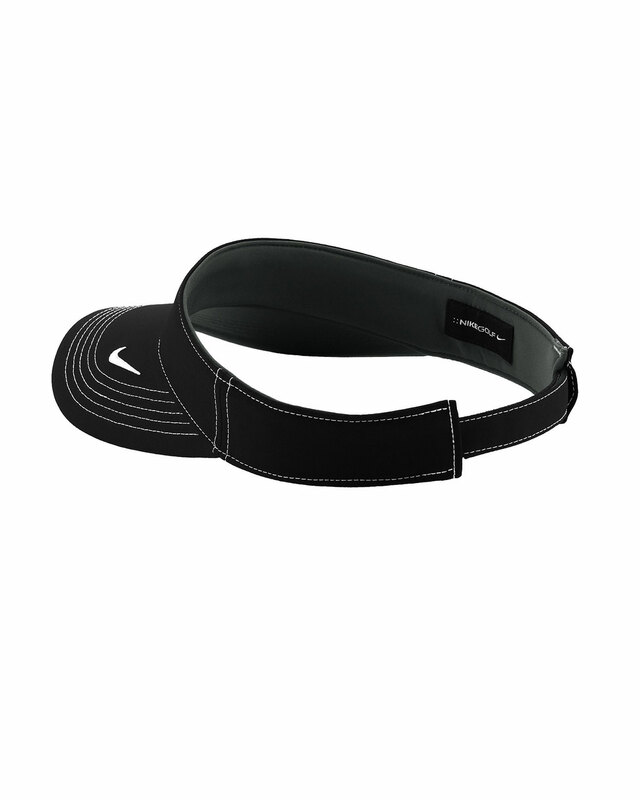 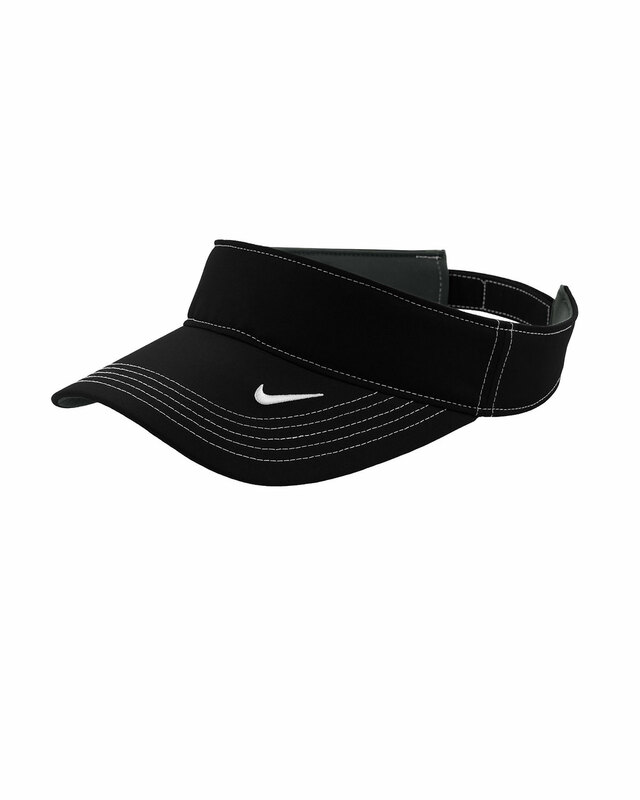 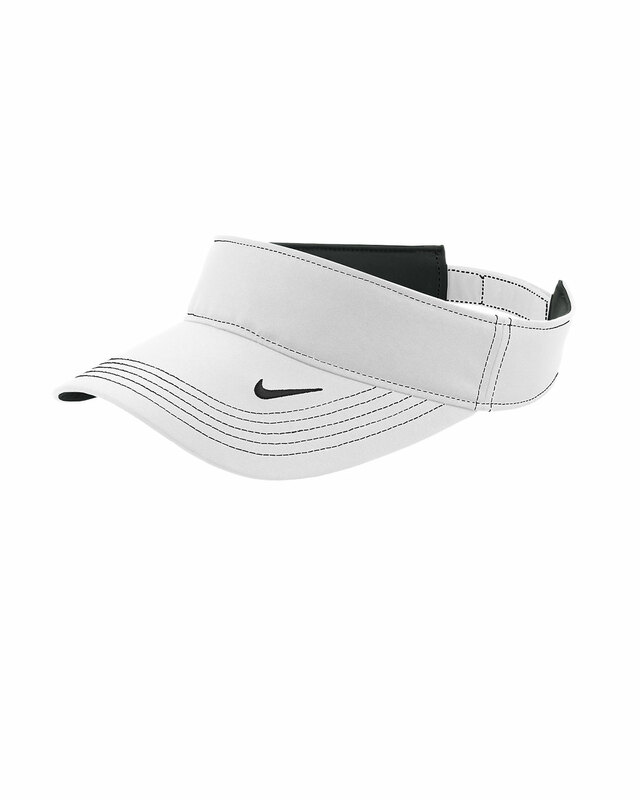 Three-panel visor built with Dri-FIT moisture management technology. 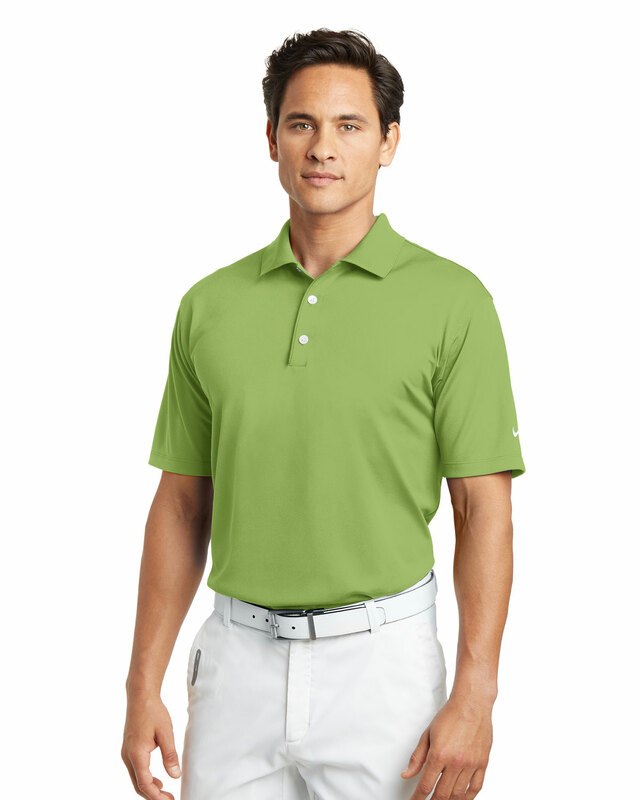 Contrast stitching adds interest, while the hook and loop closure ensures a custom fit. 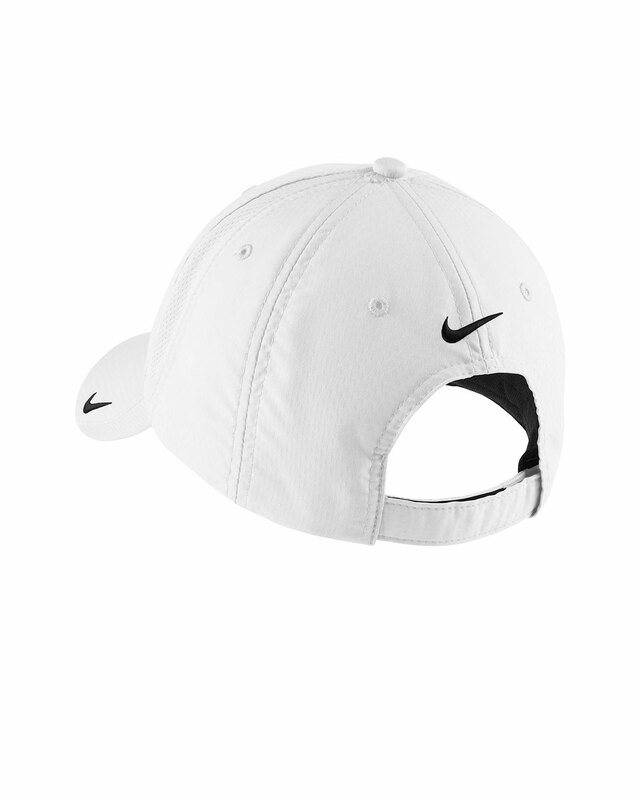 The contrast Swoosh design trademark is embroidered on the bill. 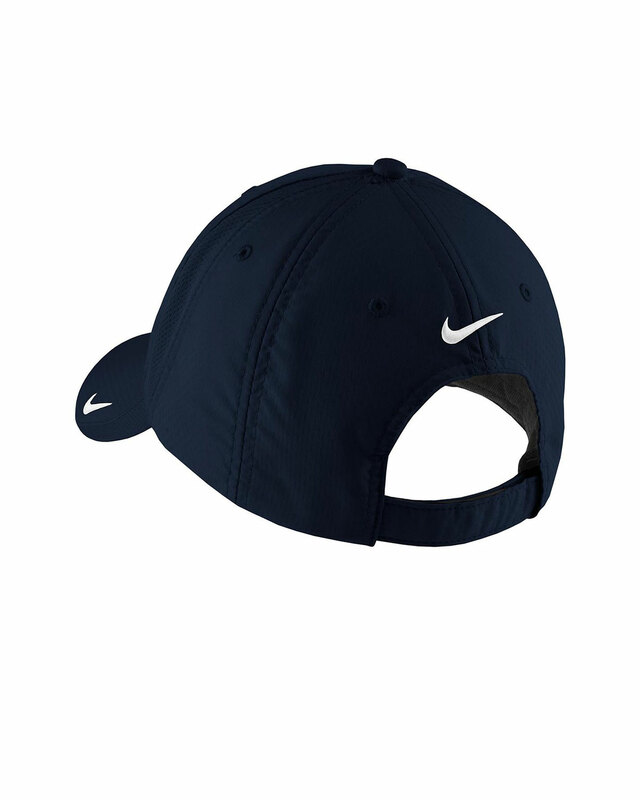 Front panel measures approximately 1.875"h x 10"w.
Nike Sphere Dry technology ensures maximum moisture control and quick-drying performance. MSRP pricing shown above already includes embroidery of your corporate logo (up to 5,000 stitches in one location). 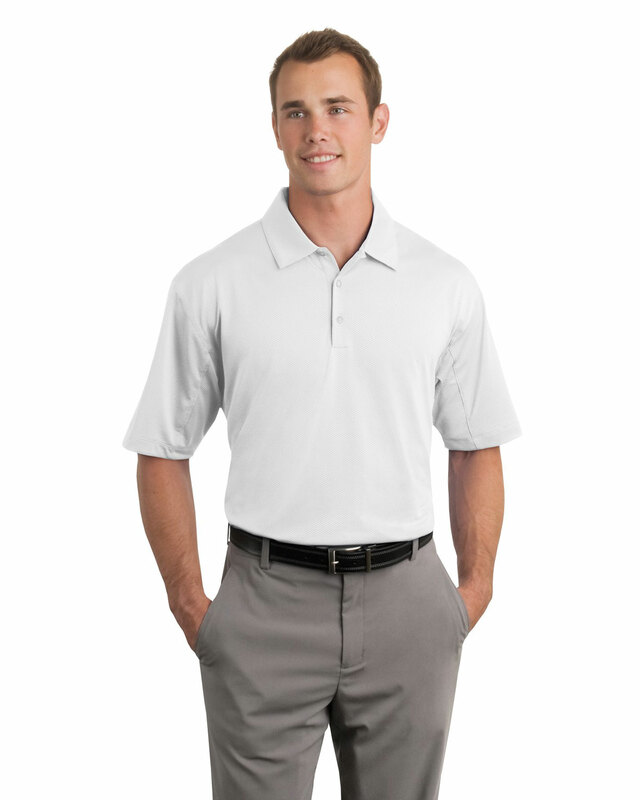 Please contact us for final pricing on specific quantities, products and corporate logo designs. 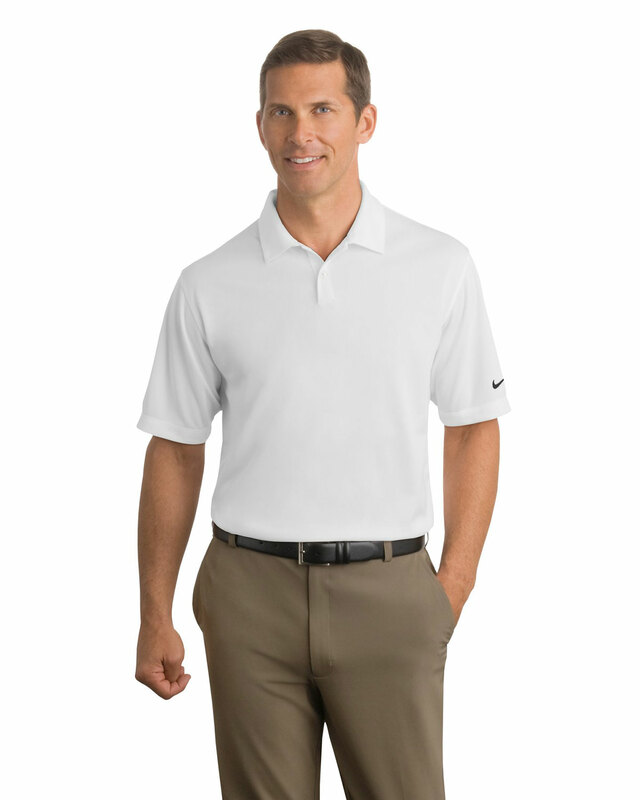 We are a qualified distributor of NIKE and NIKE-GOLF products, and we must help NIKE to protect the integrity of their brand. 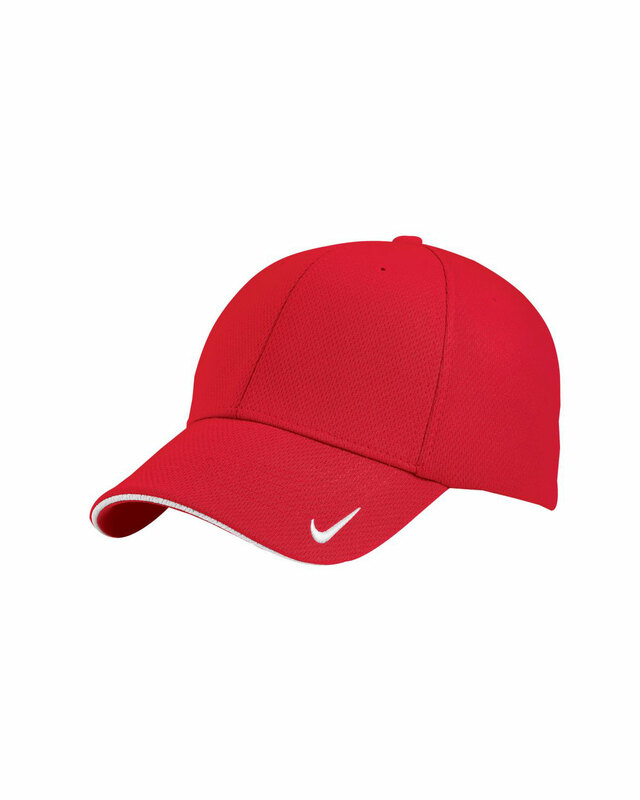 Nike branded products can be sold directly to end customers only, and cannot be sold to re-sellers. 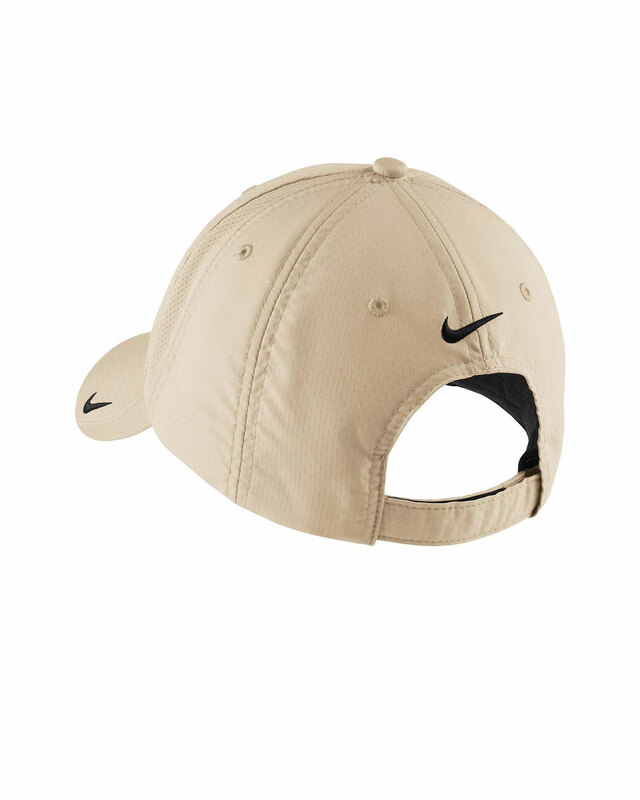 All NIKE products must be decorated with the corporate client's logo prior to delivery to the end user, no orders for blank (un-decorated) products are allowed. Please contact us for other terms and conditions.